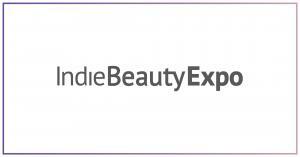 UK celebrity esthetician Antonia Burrell brings clean, chemical-free, quality, 100% natural skincare to IBE. ARROJO, founded by renowned salon owner Nick Arrojo, offers an array of products for the modern stylist. Hear from JANE + CARTER Co-founders Susan Carter and Sara Jane about their experience as first-time exhibitors. Inspired by nature's healing powers, these sheet masks are packed with floral ingredients and essential oils. This Austrian brand is a purely organic artisanal skincare collection founded by Max and Tanja Gruber. The first skin care line made with live bacteria, Mother Dirt seeks to nurture the good bacteria in the skin. Pinch of Colour is a waterless beauty brand that delivers beauty with a cause: water conservation. Reina Rebelde, a bold line of color cosmetics, celebrates the powerful cultural duality of the Latina woman. Rivers Et Roses redefines the meaning of ‘Eco chic’ with an innovative organic dual purpose traveling candle. Classical artist turned brow expert, Tonya Crooks, has the right fix to create the perfect brow. This artisanal perfumery hand-crafts luxury botanical fragrances using the finest natural aromatics. Inquire to exhibit to receive our most recent prospectus and get a broader picture who we are, and how we can help your brand thrive. Hear founders Nader Naeymi-Rad and Jillian Wright as they recount IBE’s incredible journey over the past two years, as well as announce what’s next for this growing platform. Join us for BeautyX Summit, a 2-day educational event that provides beauty entrepreneurs with the knowledge, networking and thought leadership they need to succeed. Each summit will be focused on a topic that is key to entrepreneurial success: Media & Influencers, Retail, and Capital.